Schoolchildren joined by hundreds of villagers danced around pop diva Madonna and serenaded her with praise songs on Tuesday as she inspected school blocks she helped to construct in the central Kasungu district. "Zikomo! (Thank you!)" said the singer as the Malawians people danced around her at Nkoko Primary School where she worked with the non-profit organization, BuildOn, to build classrooms. Madonna initially planned to build a $15 million 500-bed Raising Malawi Academy for girls, before changing plans to help fund several community schools to benefit more Malawians. She arrived in Malawi Monday to tour the 10 school wings she has helped to build. "I love Malawi, I am committed to help end poverty here," she said. 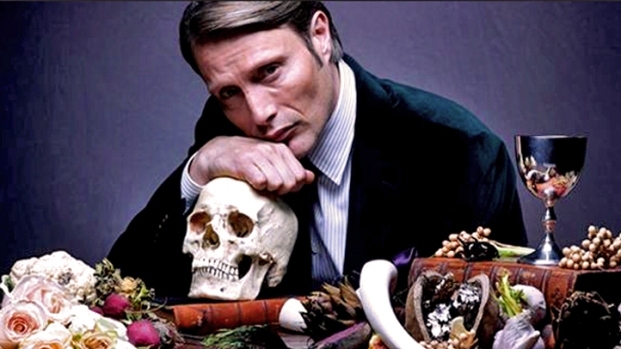 "Hannibal" takes a look at the early relationship between the renowned psychiatrist, Hannibal Lecter (Mads Mikkelsen), and his patient, a young FBI criminal profiler, Will Graham (Hugh Dancy), who is haunted by his ability to empathize with serial killers. Premieres April 4 on NBC. Madonna is the "biggest global philanthropist" Malawi has ever had, said Trevor Neilson, president of the Global Philanthropy Group that is managing the pop star's projects in Malawi. She is exploring more projects she can work on in Malawi, said Neilson. Madonna's efforts have provided new classrooms for more than 4,000 children who previously were learning under trees. "Madonna is happy that the communities are appreciating her efforts," he said. Madonna has been joined on her tour by her two adopted Malawian children, David Banda and Mercy James, both now eight.